Watch this space for upcoming public events, or log in to see member events. Are you a pianist who would like to learn what is involved in transitioning to the organ bench? This event is for you! We are happy to present a recital of organ music in Long Branch, NJ! The recital will showcase the beautiful pipe organ at St. James' Episcopal Church. The event is hosted by Christian Adams and will include performances by AGO members! No yoga experience or level of flexibility is necessary. Discover the path to health of body, mind, and spirit. Bring a yoga mat (available in the fitness section of many discount stores), a towel, and a desire to breathe deeply, focus attention, and explore the relationship to self and colleagues. Presented by Steven Russell, certified yoga teacher. Our 100th anniversary celebration concludes with a concert by the world-renowned Hector Olivera on the new Hauptwerk Organ. Come celebrate our 100th anniversary at a concert featuring new music! Members will be performing solo works at the beginning of the evening. Come celebrate our 100th Anniversary at an open house featuring the historic 1904 Bates & Culley pipe organ. Bring your friends, your piano or organ students, choir singers. We will watch, listen to, and investigate the organ, play games, sing hymns. Participating will be the St. Thomas More Handbell Choir and the new community chamber chorale, Ravine Crossing in addition to Monmouth AGO organists and singers. Come join us for a FREE and fabulous concert featuring area organists, instrumentalists, and singers. Do some shopping in town or at Freehold Raceway Mall and then come down the street to hear our Organ Plus concert. After the concert drive over to Jersey Freeze for a Freehold tradition. Take time out from the sun and enjoy the sea breeze while listening to beautiful music! 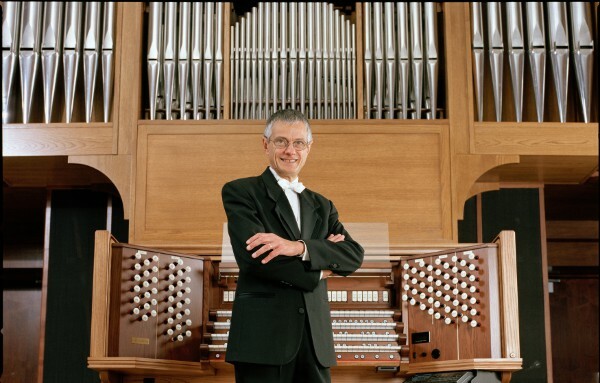 Steven Russell will lead you through some newly published organ music and public domain scores for all seasons and difficulty levels. Pieces will be played by various organists. Scores will be projected on a screen while they are played. Some pieces will be played from an iPad. Come find new music and discover all the fun of paperless performance. Take time out from the sun and cool off in our air-conditioned church while listening to beautiful music! Holy Trinity is on the National Register of Historic Places and boasts a 1904 Bates & Culley pipe organ.